Competition in the warehouse world is no joke. Customers these days expect shipping times that are faster than ever. If you’re a warehouse owner or manager who is serious about success and customer satisfaction, then you need to prioritize speeding up your shipping times, plain and simple. If you want your warehouse shipping system to be like a well-oiled piece of machinery, you need to communicate your expectations to all of your team members. Make sure they’re well-versed in shipping times that are acceptable and strong. Make sure they understand that promptness is your number one priority. 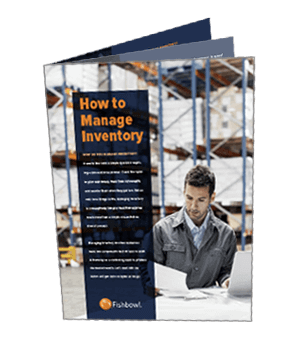 Warehouse leaders who want to quicken shipping times need to concentrate on efficiency and organization. Make sure there is a dependable system in place that can help team members who are responsible for accessing and packing items. That way, they can locate anything easily. If your employees have to waste time searching high and low for specific products, it can eat up a lot of valuable time. It’s crucial to make sure every part of your warehouse works well, too. If workers have to battle it out with a finicky garage door system located in the shipping and receiving bay, that can squander time they could be devoting to handling shipping matters. Getting professional garage door maintenance service, like R&S, can often eliminate this issue. Don’t panic if you feel like you have too much on your plate to properly oversee packing operations in your warehouse. It may be time to recruit a designated shipping specialist who can concentrate on packing and inventory matters alone. This can potentially reduce a lot of confusion among your team members. Pay attention to how your warehouse competitors manage their shipping duties. You may be able to get ideas that can enhance operations within your facility. Don’t let your rivals surpass you in any way, shape, or form. 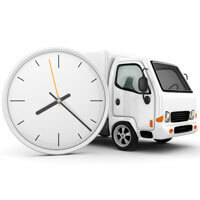 If you find out that your competitors offer same-day shipping, you should think about doing so yourself. Contemporary consumers have high hopes and expectations. It’s always up to you to exceed them. If you work for a warehouse, you know how demanding the daily grind can be. That’s no excuse to lose track of the top goal, though. Your main priority should be to satisfy your client base. You can do so by giving them the speediest shipping times around. These options can help you start. Rachelle Wilber is a freelance writer living in the San Diego, California area. She graduated from San Diego State University with her Bachelor’s Degree in Journalism and Media Studies. She tries to find an interest in all topics and themes, which prompts her writing. When she isn’t on her porch writing in the sun, you can find her shopping, at the beach, or at the gym.